Team building is a much more thorough and painstaking process than it seems. Some of the prerequisites in this post modern era are back-ups and systems through which the young talent is groomed and equipped for international challenges over the years. In the last three years PCB geared up towards enhancing the levels of excellence – in all spheres especially towards the development of infrastructure and establishment of NCA. The New Domestic Structure too is another step in that direction. We are quite optimistic that these steps would famously serve Pakistan Cricket in years to come. 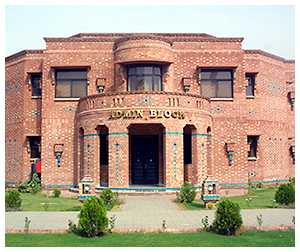 Under the auspices of the Pakistan Cricket Board, PCB Cricket Coaching Academies are premiere facilities, which welcome gifted player from the regional, national as well as international cricket arenas, aimed directly at cricketers interested in furthering their professional acumen and learning from the best in the world (Pakistan’s own Ex-National Team Stars). The new complex of National Cricket Academy contains all the modern facilities and reflects the Pakistani Architecture. National Cricket Academy (NCA) offers its entrants a unique combination of the most refined and effective coaching skill development programs found anywhere in the world today. National Cricket Academy will also act as a finishing school for Pakistan “A” and various segments like U-15, U-17, U-19 that form part of this academy. National Cricket Academy envisions to act as an educational institution and a nursery to effectively tap and groom the young talent for the future. To have cricketers who right at the starting point of their career are aware of not just delicacy and refinement of the game but have the most modern outlook too. National Cricket Academy is committed to make them strong, to think and act like leaders and to equip them with self-confidence in the face of adversity, on the field of play and off it. To produce quality players and meet the current and future challenges of international cricket, National Cricket Academy will act as a state of the art workshop and nursery to enhance performance levels by producing well-talented cricketer’s with well-rounded personalities. Enhancing the skill set, consistency and qualities of leadership & team building. Using scientific methods and techniques and providing all necessary facilities. Careful planning & analysis of systems for continual improvement. Efficient and effective utilization of resources. To introduce a system that would raise the standard of cricket in the country. To continuously produce well-talented and well-rounded cricketers. To maintain and provide all the most modern and latest material and human resources at all times. To become the leading cricket academy in the world. To produce atleast one international player out of every 50 trainees.